The sunshine kittens came to us during a heat wave after their feral mom was hit by a car, leaving them orphaned. Sola was an easy going cat, so she adapted quickly. but Golden and Raya were terrified and hissy. Golden was the most scared and unhappy kitten we’d ever fostered, and it took a lot of work, imposing increasingly long holds and spending lots of time petting her until she overcame her fears and turned into a cuddly little love cat. Raya, was quicker to bond with us because she wasn’t as frightened. 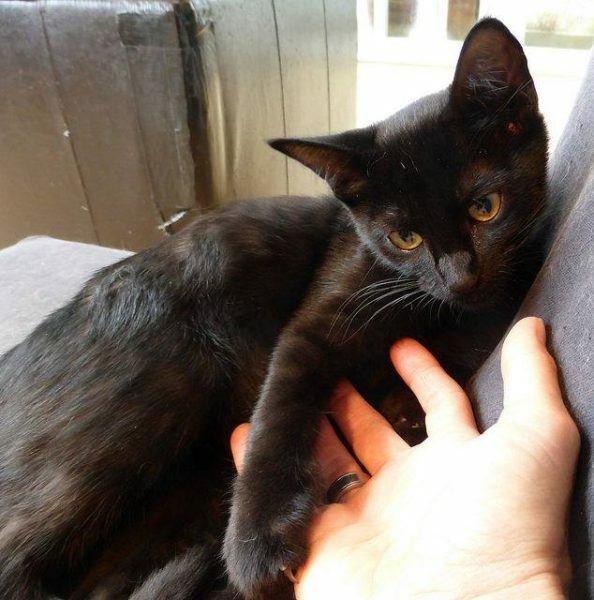 She had some digestive issues initially (this is common in kittens that lose their mothers too early, which is why the ideal age to adopt a kitten is 12 weeks to avoid early weaning). Sola was easy to socialize, and she led the way, setting a good example for her sisters. Our resident cats also helped with the socialization, grooming and nurturing the kittens and teaching them feline etiquette. 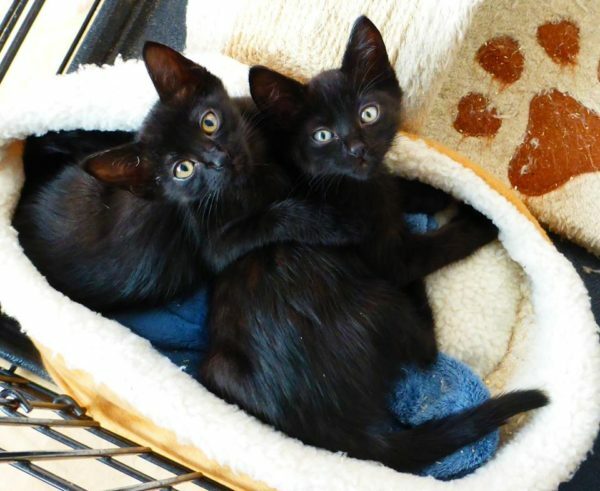 Even when they were totally feral, the sunshine kittens never tried to scratch or bite us, so they were obviously sweet-natured, gentle kittens, and they were very clean and well-behaved right from the start. 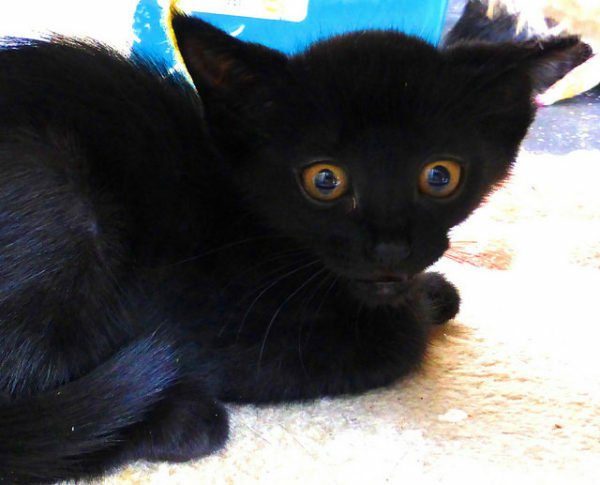 However, it took longer than usual to find an adopter, which is always the case with black kittens. 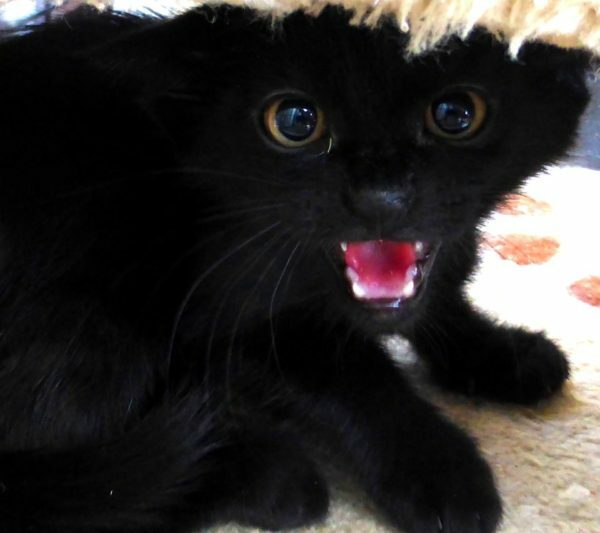 Although black cats tend to be clean, well-behaved, and intelligent, potential adopters overlook them in favour of tabbies and cats of any other solid colour due to stupid prejudices or the fact that black cats don’t show up as well in photos on the adoption website. 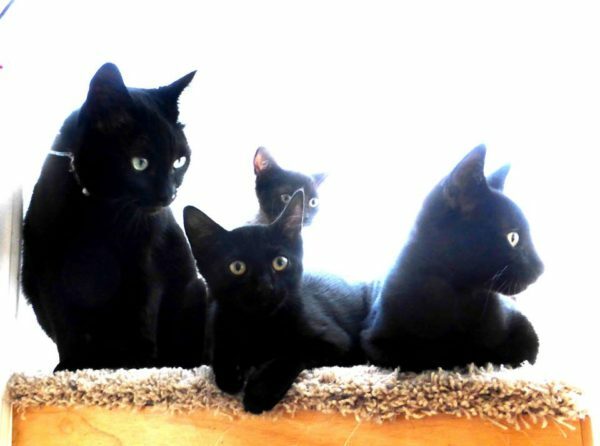 Fortunately, a small percentage of adopters love black cats and we were able to find good homes for the sunshine girls eventually. 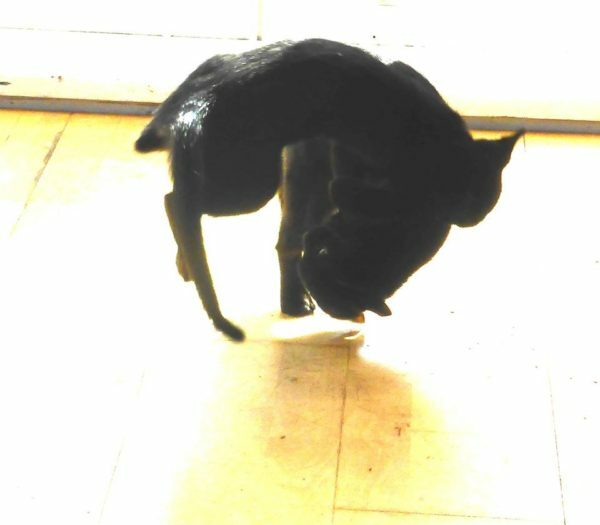 Although the kittens were very gentle with us, they developed some fearsome fighting moves with each other. They never seemed to injure one another, but they regularly used UFC-worthy takedowns, providing endless entertainment as they refined their battle strategies. 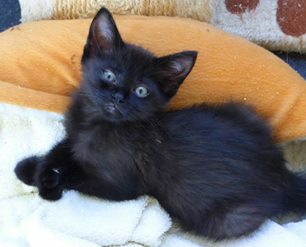 For more foster kitten stories, see the main Foster Kitten Photo Diary. 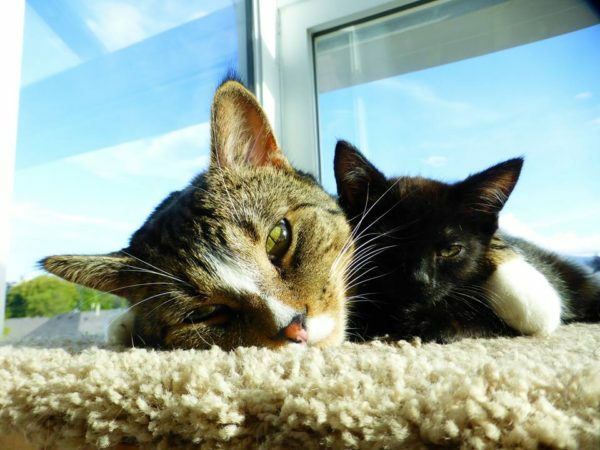 For articles on cat care, behaviour, training, and more, see the main Cats page.